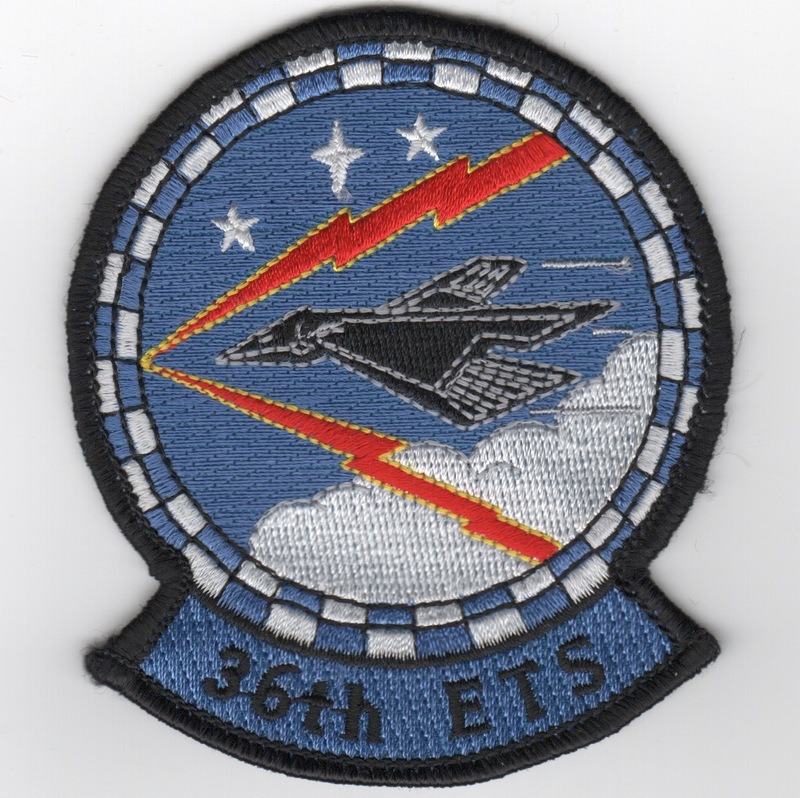 This is the "Legacy of Training" patch for the Air & Education Training Command (AETC). 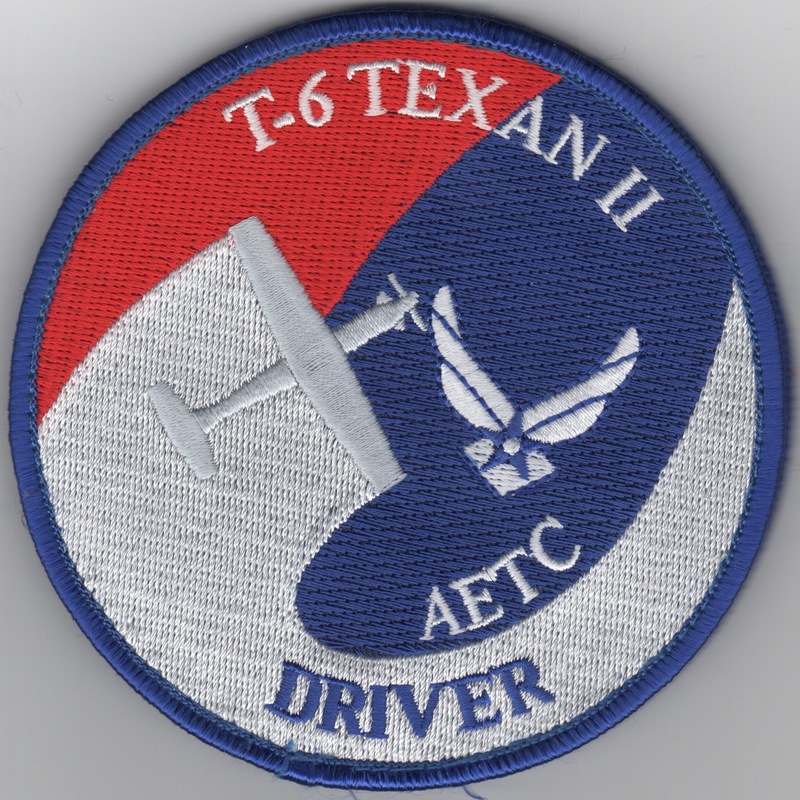 This is the new "West Coast Demo Team" patch for the T-6 Texan II flown by T-6 Instructors from Air & Education Training Command (AETC). This is the T-6 Texan II 'Driver' Swirl for that aircraft. This is the desert version of the crest patch for the 14th Flying Training Wing. The 14th FTW conducts pilot training for the U.S. Air Force and international officers, using a fleet of T-37, T-38, and T-1 aircraft and flight simulators. They are located at Randolph AFB, TX. This is the desert version of the "gaggle" patch for the 14th Flying Training Wing. The 14th FTW conducts pilot training for the U.S. Air Force and international officers, using a fleet of T-37, T-38, and T-1 aircraft and flight simulators. They are located at Randolph AFB, TX. The 14th Flying Training Wing is a wing of the United States Air Force based out of Columbus Air Force Base, Mississippi. The 14th Operations Group and its six squadrons are responsible for the 52-week Specialized Undergraduate Pilot Training (SUPT) mission. 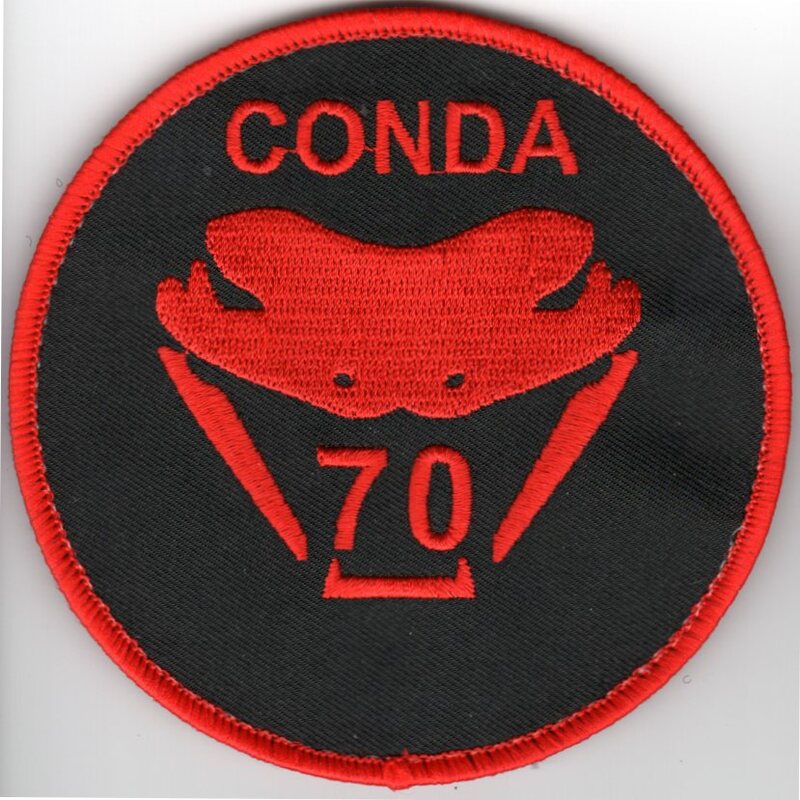 This is the 'CONDA 70' Class patch created for the 14th Flying Training Wing for when the pilots SOLO, I believe. This patch has velcro attached. The 14th Flying Training Wing is a wing of the United States Air Force based out of Columbus Air Force Base, Mississippi. The 14th Operations Group and its six squadrons are responsible for the 52-week Specialized Undergraduate Pilot Training (SUPT) mission. 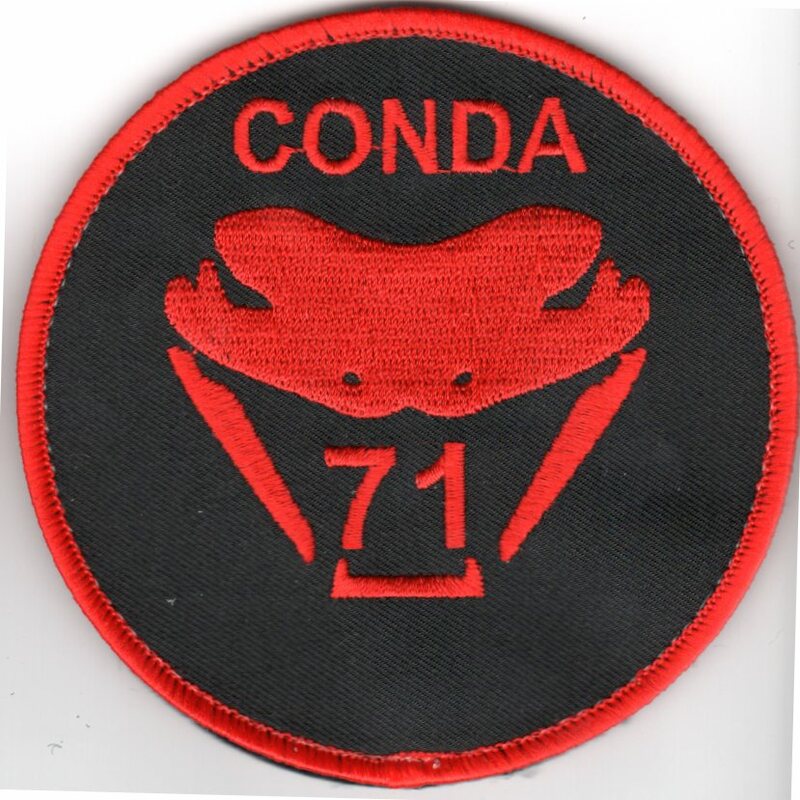 This is the 'CONDA 71' Class patch created for the 14th Flying Training Wing for when the pilots SOLO, I believe. This patch has velcro attached. The 14th Flying Training Wing is a wing of the United States Air Force based out of Columbus Air Force Base, Mississippi. The 14th Operations Group and its six squadrons are responsible for the 52-week Specialized Undergraduate Pilot Training (SUPT) mission. 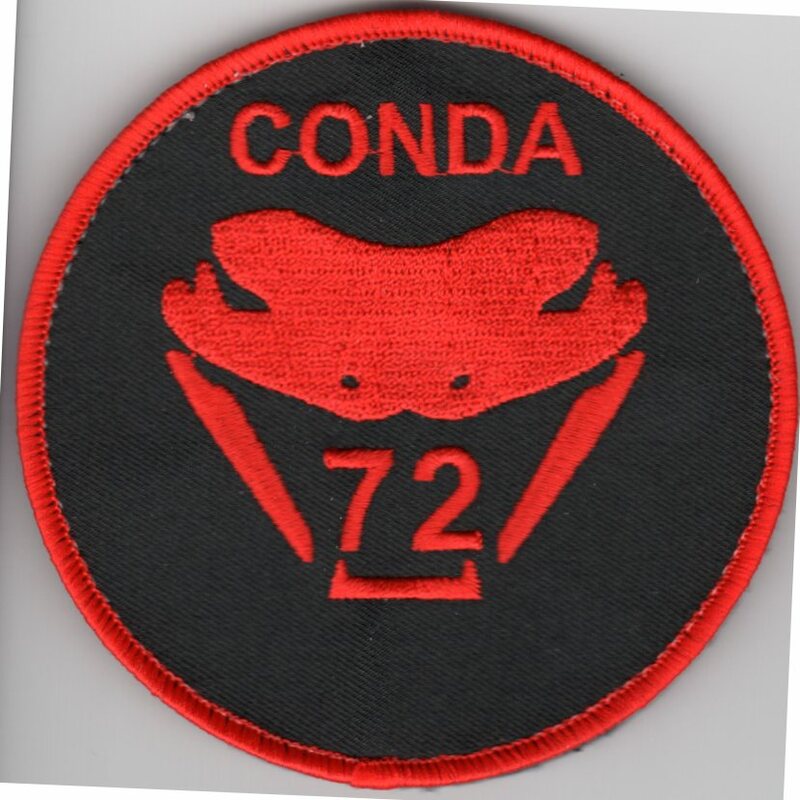 This is the 'CONDA 72' Class patch created for the 14th Flying Training Wing for when the pilots SOLO, I believe. This patch has velcro attached. The 14th Flying Training Wing is a wing of the United States Air Force based out of Columbus Air Force Base, Mississippi. The 14th Operations Group and its six squadrons are responsible for the 52-week Specialized Undergraduate Pilot Training (SUPT) mission. 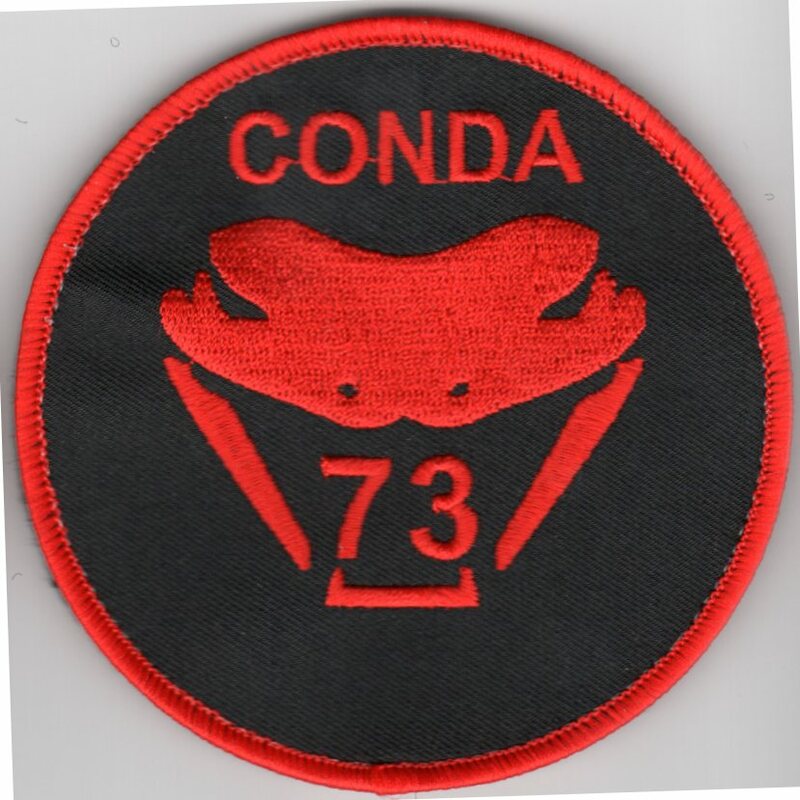 This is the 'CONDA 73' Class patch created for the 14th Flying Training Wing for when the pilots SOLO, I believe. This patch has velcro attached. The 14th Flying Training Wing is a wing of the United States Air Force based out of Columbus Air Force Base, Mississippi. The 14th Operations Group and its six squadrons are responsible for the 52-week Specialized Undergraduate Pilot Training (SUPT) mission. 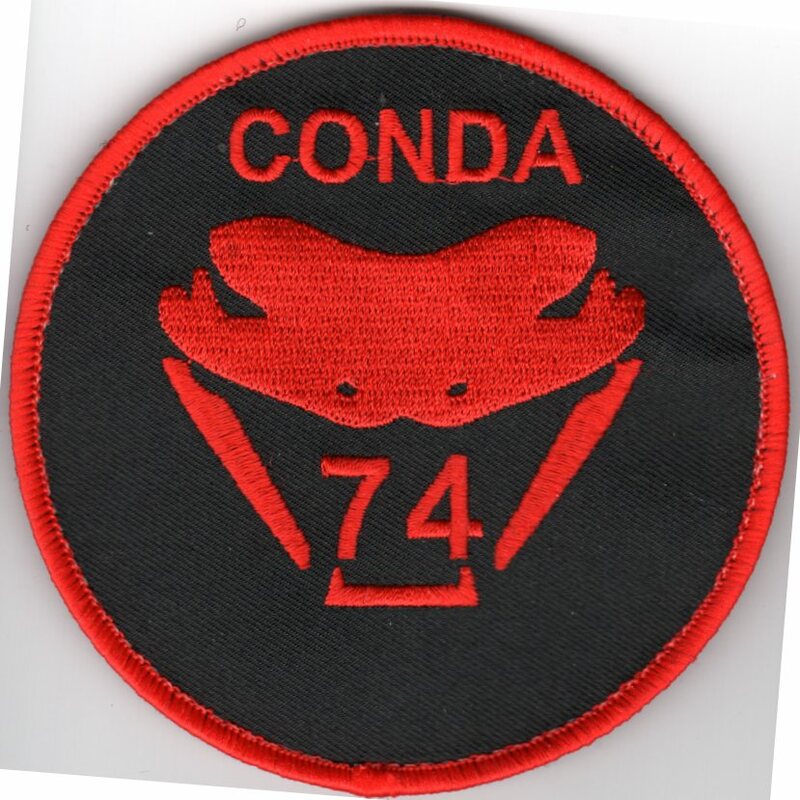 This is the 'CONDA 74' Class patch created for the 14th Flying Training Wing for when the pilots SOLO, I believe. This patch has velcro attached. The 14th Flying Training Wing is a wing of the United States Air Force based out of Columbus Air Force Base, Mississippi. The 14th Operations Group and its six squadrons are responsible for the 52-week Specialized Undergraduate Pilot Training (SUPT) mission. 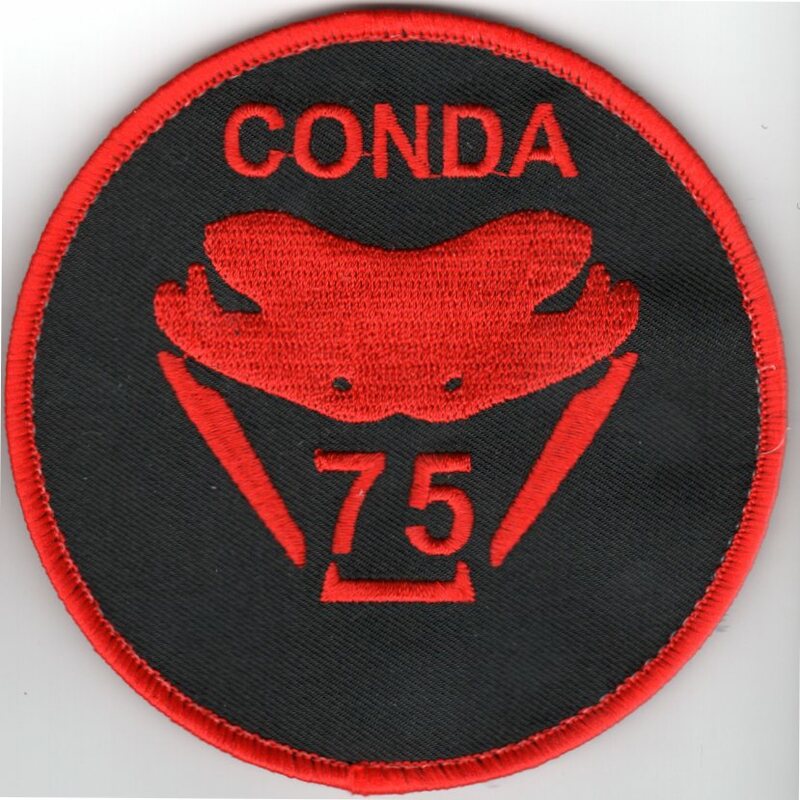 This is the 'CONDA 75' Class patch created for the 14th Flying Training Wing for when the pilots SOLO, I believe. This patch has velcro attached. The 14th Flying Training Wing is a wing of the United States Air Force based out of Columbus Air Force Base, Mississippi. The 14th Operations Group and its six squadrons are responsible for the 52-week Specialized Undergraduate Pilot Training (SUPT) mission. 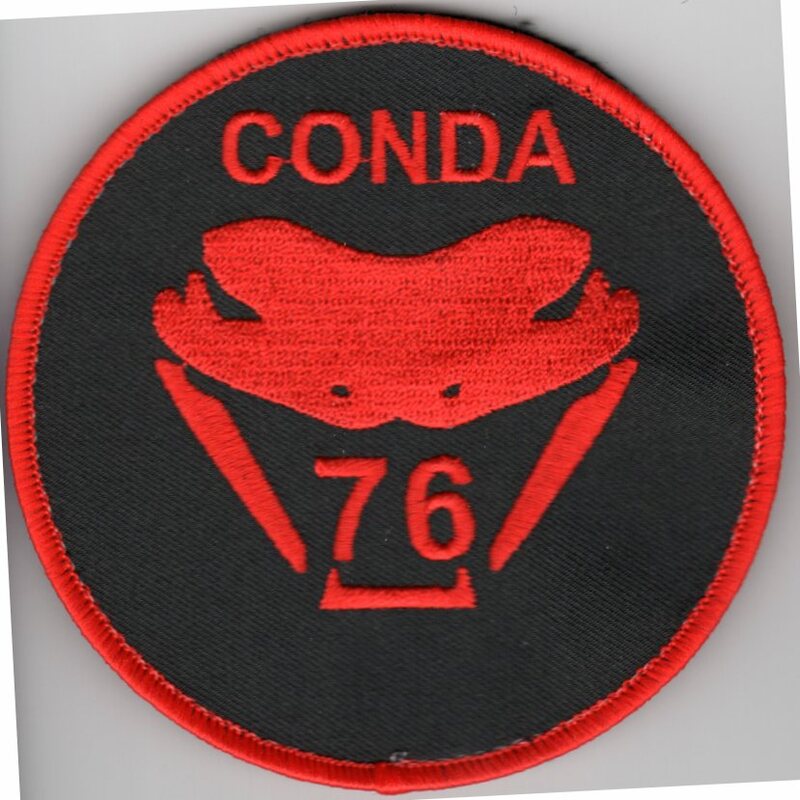 This is the 'CONDA 76' Class patch created for the 14th Flying Training Wing for when the pilots SOLO, I believe. This patch has velcro attached. The 14th Flying Training Wing is a wing of the United States Air Force based out of Columbus Air Force Base, Mississippi. The 14th Operations Group and its six squadrons are responsible for the 52-week Specialized Undergraduate Pilot Training (SUPT) mission. 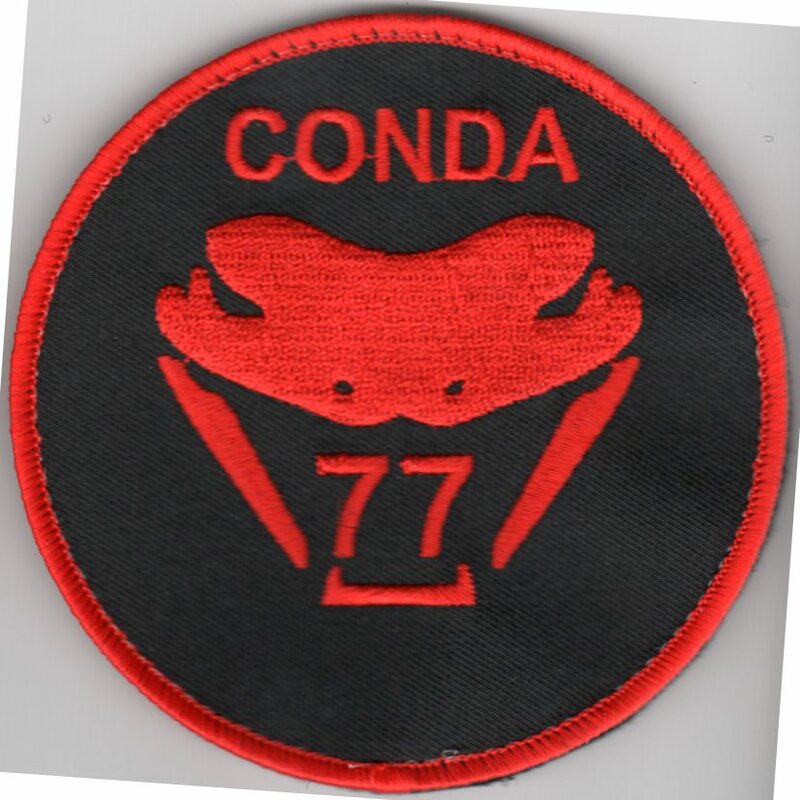 This is the 'CONDA 77' Class patch created for the 14th Flying Training Wing for when the pilots SOLO, I believe. This patch has velcro attached. The 14th Flying Training Wing is a wing of the United States Air Force based out of Columbus Air Force Base, Mississippi. The 14th Operations Group and its six squadrons are responsible for the 52-week Specialized Undergraduate Pilot Training (SUPT) mission. This is the 'CONDA 78' Class patch created for the 14th Flying Training Wing for when the pilots SOLO, I believe. This patch has velcro attached. The 14th Flying Training Wing is a wing of the United States Air Force based out of Columbus Air Force Base, Mississippi. The 14th Operations Group and its six squadrons are responsible for the 52-week Specialized Undergraduate Pilot Training (SUPT) mission. 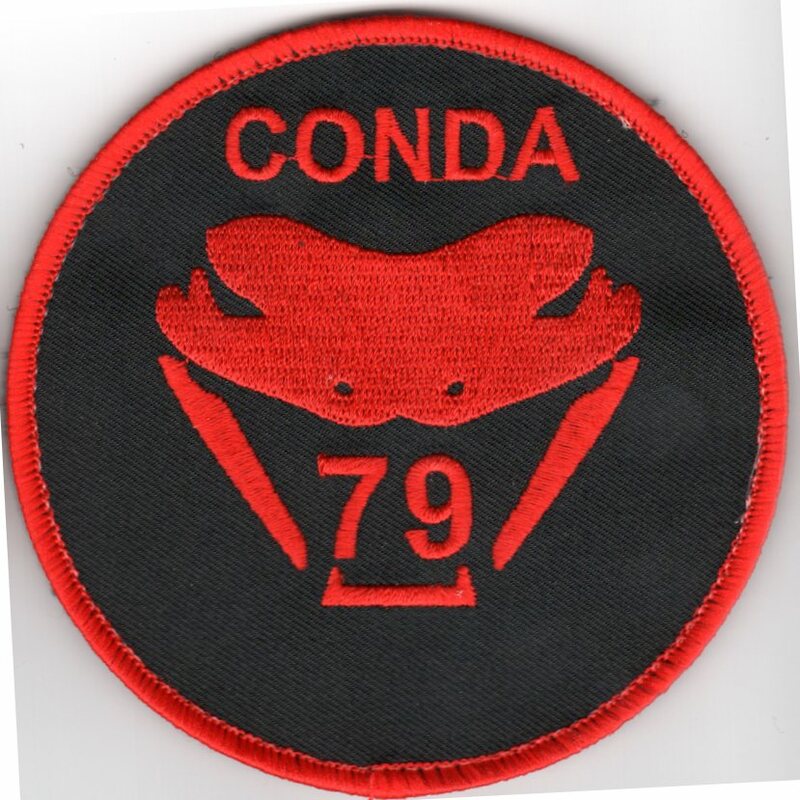 This is the 'CONDA 79' Class patch created for the 14th Flying Training Wing for when the pilots SOLO, I believe. This patch has velcro attached. Use this link to get ALL TEN of these patches at a discount. 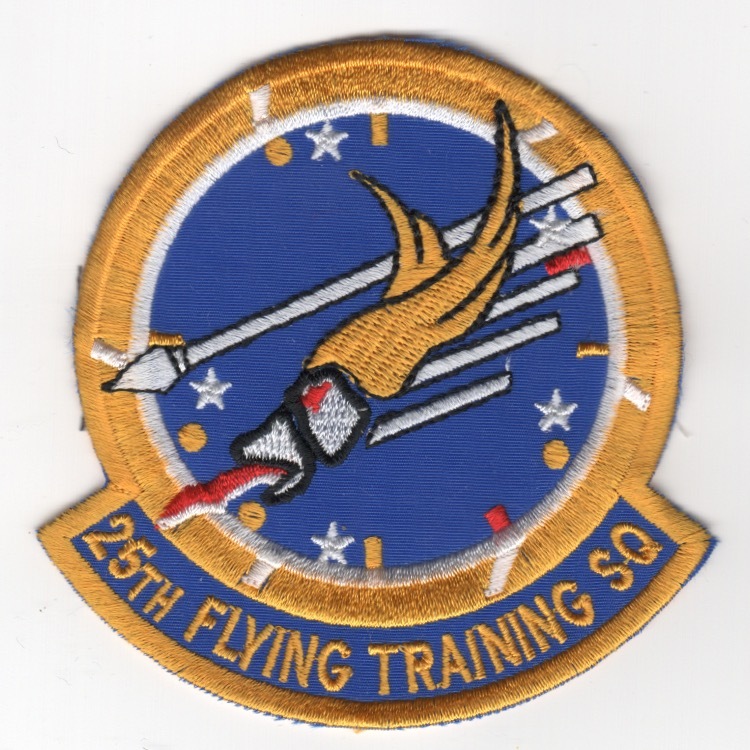 The 25th Flying Training Squadron is part of the 71st Flying Training Wing based at Vance Air Force Base, OK. It operates Northrop T-38 Talon aircraft conducting flight training. 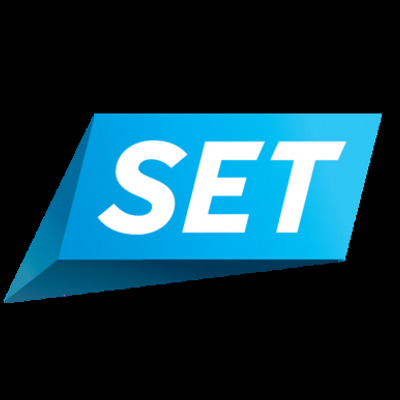 The squadron has provided Undergraduate Pilot Training (UPT) for active duty, Air National Guard, Air Force Reserve, and selected foreign allies since 1 November 1972. I found this patch in a Korean embroidery shop. It has the "theater-made" feel with the 'cut' edge, and does not have velcro attached. This is the "applique" for the squadron patch for the 26th Aggressor Squadron that was stationed at Clark AB, Phillipines. They supported the US Forces in the Pacific. The 33d Flying Training Squadron is a United States Air Force squadron based out of Vance Air Force Base in Enid, Oklahoma. It is a part of the 71st Flying Training Wing. 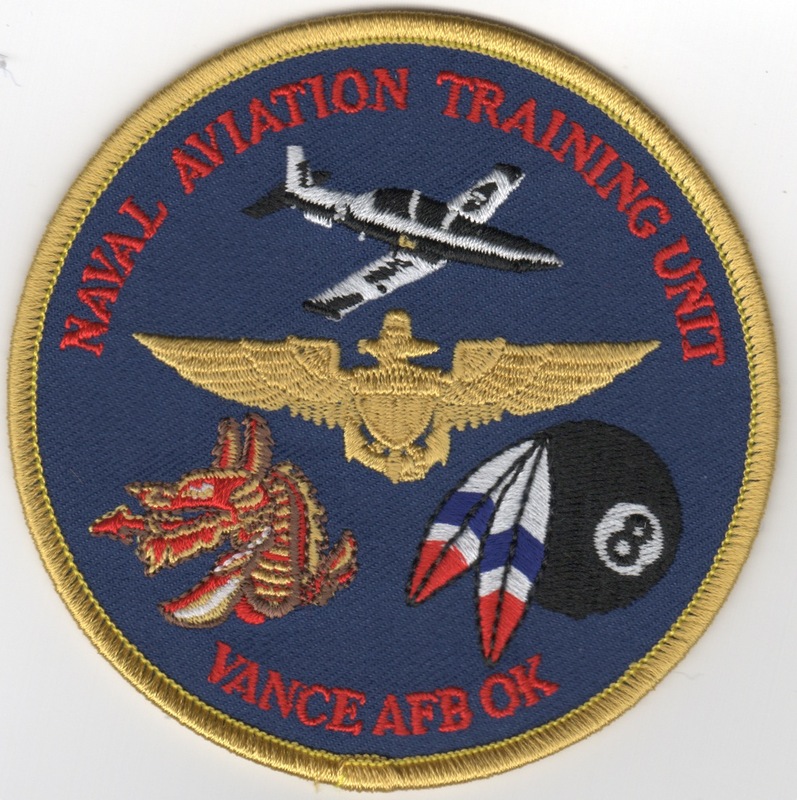 As Vance AFB is a joint specialized undergraduate pilot training (JSUPT) base, Navy and Marine Corps aviators as well as Air Force and Air National Guard pilots are trained there. The 33 FTS currently flies the T-6A "Texan II" which has 1100 shaft horsepower and a maximum speed of 316 KIAS (knots indicated airspeed). The 33 FTS mascot is the dragon and students use callsigns starting with "Hydra" when on station and "Hook" when off station. 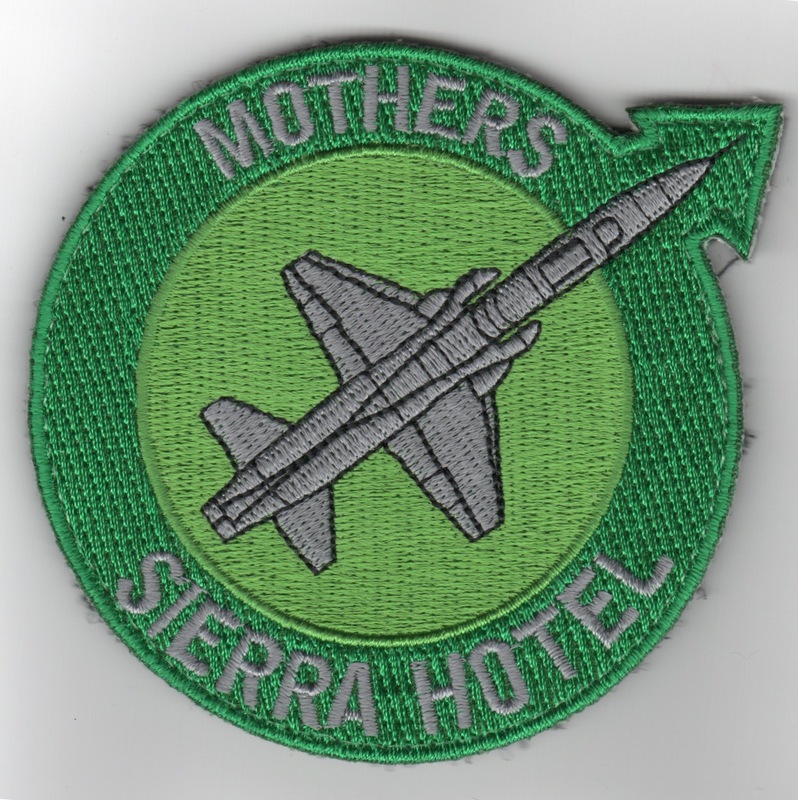 This is a T-38 "MOTHER" patch for the 50th Flying Training Squadron. They are part of the 14th Flying Training Wing based at Columbus Air Force Base, Mississippi. It operates T-38C Talon aircraft conducting flight training. This is one of AV8RSTUFF's creations for them to take when they go TDY or to an airshow as a fundraiser, as they really are "Sierra Hotel". This patch DOES have velcro. 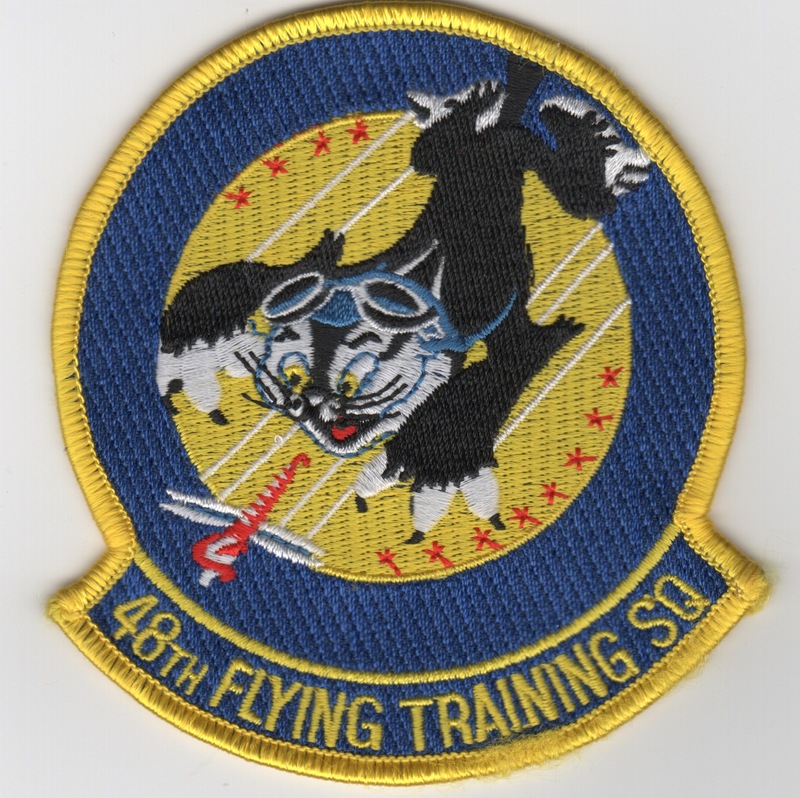 This is a "throwback/retro" patch for the 50th Flying Training Squadron. They are part of the 14th Flying Training Wing based at Columbus Air Force Base, Mississippi. It operates T-38C Talon aircraft conducting flight training. Their mission is the advanced phase of undergraduate pilot training conducted by the 50th Flying Training Squadron. This phase consists of 110.8 hours of academic instruction, 70 hours of ground training, 38 hours of simulator instruction, and 69 sorties comprising 81.1 hours of flight instruction in the Northrop T-38C. Training includes advanced aircraft handling, tactical navigation, fluid maneuvering and an increased emphasis in two- and four-ship formation. At the completion of training, the graduate is awarded the aeronautical rating of pilot. The history of the squadron is that they flew patrols on the West Coast of the United States from, February�June 1942 then provided air defense of Iceland from August 1942-February 1944. It was not operational between, February 1944 and its inactivation in August 1944. The squadron has conducted undergraduate pilot training since, 1 June 1972. 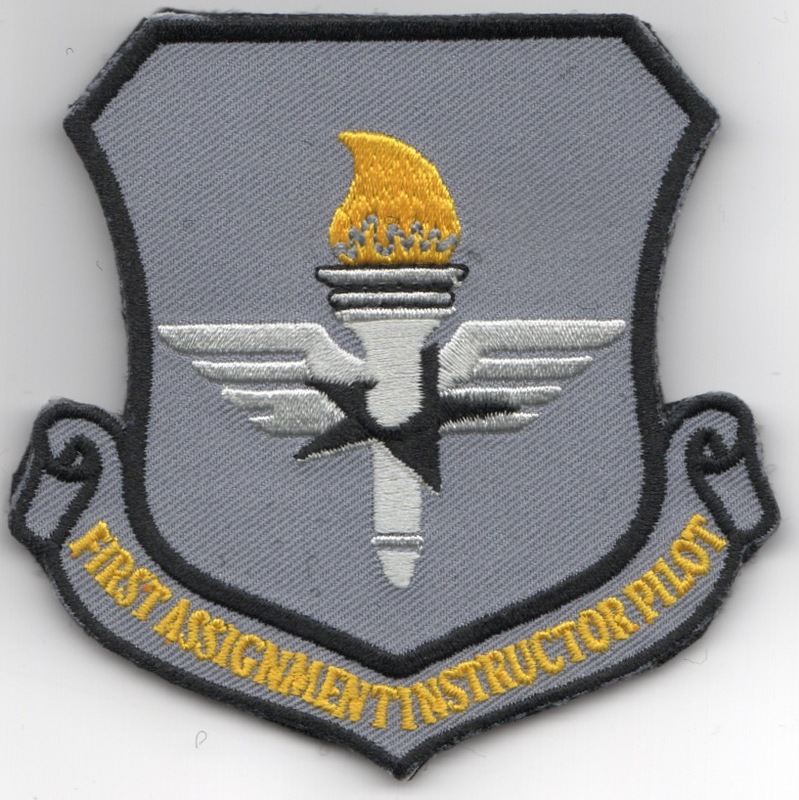 This is the light gray twill version of the 'FIRST ASSIGNMENT INSTRUCTOR PILOT' (FAIP) crest created for the 50FTS that flies out of Columbus AFB, MS. This patch does have velcro attached.. 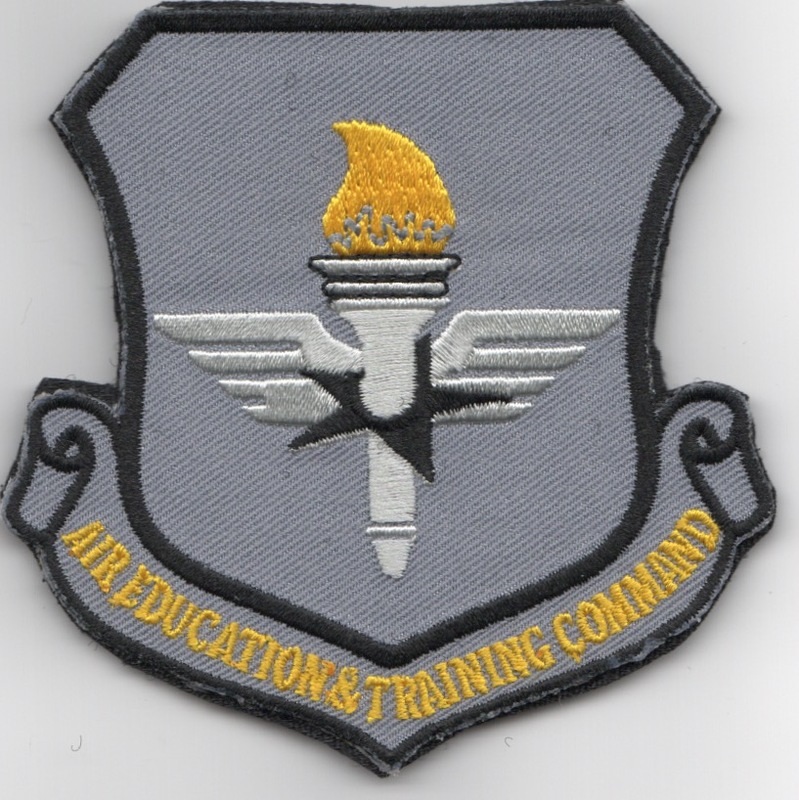 This is the light gray twill version of the 'AIR EDUCATION & TRAINING COMMAND' (AETC) crest created for the 50FTS that flies out of Columbus AFB, MS. This patch does have velcro attached..
Use this link to get both 50FTS crest patches above at a discount. 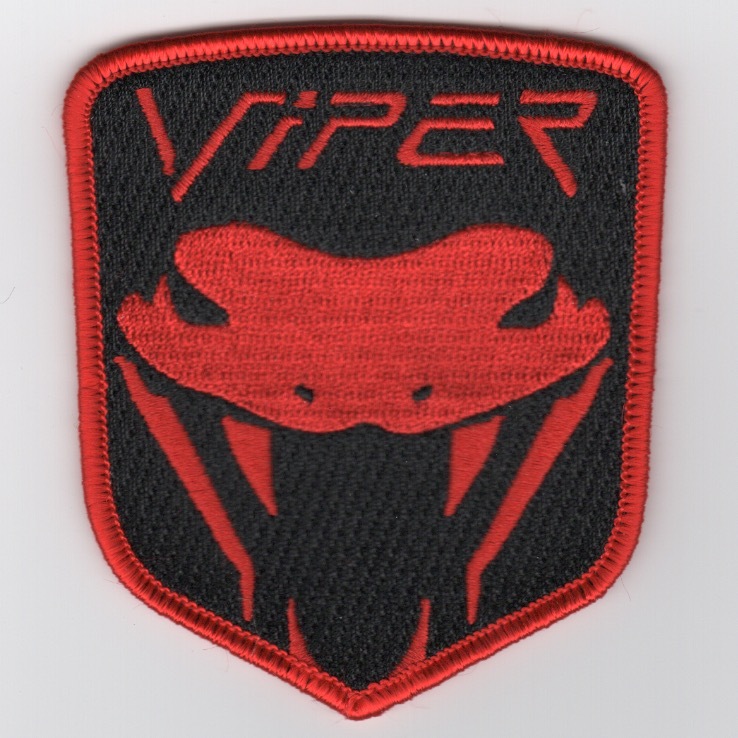 This is the class patch from one of the UPT classes at Columbus AFB, MS in the "VIPER" Flight. It does not have velcro attached. This is the large version (with velcro) of the squadron patch for the 64th Aggressor Squadron that was stationed at Nellis AFB, NV. They were the RTU (training squadron) for all the USAF Aggressor squadrons and flew the F-5E. This is the "applique" for the squadron patch for the 64th Aggressor Squadron that was stationed at Nellis AFB, NV. They were the RTU (training squadron) for all the USAF Aggressor squadrons and flew the F-5E. This is the "applique" for the squadron patch for the 65th Aggressor Squadron that was stationed at Nellis AFB, NV. They participated in Red Flags as the adversary force flying the F-5E. This is the large version of the squadron patch for the 65th Aggressor Squadron that was stationed at Nellis AFB, NV. They participated in Red Flags as the adversary force flying the F-5E. 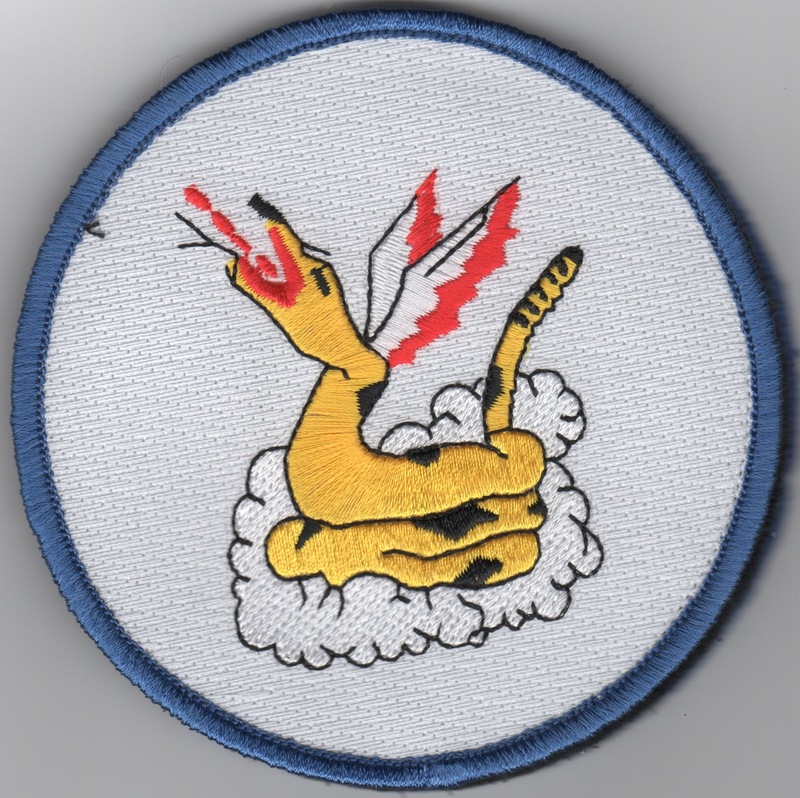 This is the color version of the squadron patch for the 69th Aggressor Squadron.